There’s no doubt that our furry friends can be costly. Even if your pet has no initial health problems, with age, Fido will undoubtedly run into medical issues at some point. When the end is near, long-time pet owners know just how costly pet healthcare can be. If you have a pet, chances are you’ve debated whether or not to buy pet insurance. Like health insurance for people, these policies defray the cost of pricey medical care should your pet become sick or infirm. For some, it can mean the difference between a year or two more of companionship versus euthanasia. Pet insurance is relatively common in Europe, but here in the states only about a quarter of a million of our more than 130 million cats and dogs are covered by pet insurance. Is pet insurance right for you? It’s important to consider the pros and cons of these policies before making a final decision and investing the money. Pro: There are a variety of pet insurance companies to choose from with a wide variety of policies and coverage. In some cases, these policies will cover all types of vet care, including annual checkups and immunizations. Con: Read the fine print, as some policies only cover accidents and illnesses. 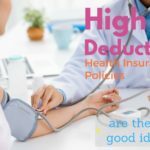 Pro: As with human health insurance, the various policies come a choice of premiums, so you can choose how much to spend from the get-go. Prices vary from as low as $99 per year for a basic plan to $500 or more for a select breed indemnity plan. Con: Be prepared to pay out-of-pocket with most policies. While some have pre-set annual or per-incident limits, others have deductibles. Make sure you are able to cancel your policy at any time without a penalty. Pro: If you have a puppy or kitten, your premiums will be lower. Con: Many plans have age limits, which mean that older dogs or cats may not qualify for full coverage or health insurance. Premium increases should be based on your pet’s age, not number of claims. Pro: If you have a healthy pet from the start, your furry family member should have no problem qualifying for health insurance coverage. Con: Be aware that some policies require annual physical exams. And, like human health insurance plans, pet insurance does not always cover pre-existing conditions, including past injuries, flea control, dental problems, or chronic ailments. Pro: There are pet insurance plans available that allow you to choose your own vet. Con: Note that some insurance plans only allow you to seek care from a limited network of vets. If your pet needs emergency services, you are traveling, or your vet is not available, this can be an issue. Choose the policy option where you can utilize the services of any vet. Also be aware that some plans require pre-authorization before treatment can be rendered. Pro: There are insurance riders that can cover the individual needs of your pet. Consider including extended care, dental coverage, and accidental death. Con: Some policies have maximum benefit amounts that can be paid within a year or over the pet’s lifetime. Be sure this figure is enough to make the insurance worth the cost. Pro: The animal health care industry has become more sophisticated, so there are more treatment options for our pets. Con: With the updated technology comes increased costs for animal treatment. Consequently, it’s not unusual for some conditions to cost thousands of dollars to treat. It is up to you, the pet owner, to determine how much coverage you want or need. Obviously, the greater the coverage, the more the plan will cost. To determine whether pet insurance makes sense, figure out your annual vet costs and compare these with a year’s worth of health insurance premiums. You should also be sure to include out-of-pocket deductibles in this final number. If the premium and deductible costs are higher than your annual vet bills, then pet insurance may not be warranted. 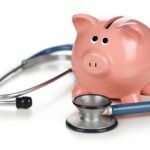 Just be aware that it may take just one unforeseen medical event to justify the insurance expense, and that proper coverage can make an otherwise troubling time much more bearable. I agree. Pet health insurance plan should be chosen after knowing all the pros and cons of the policies of the plan. Some of the pet insurance will provide you the vet facility also. Premiums will vary according to the pet you have. 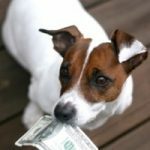 Pet insurance is a stupid scam to pay on the risk adverse. Chances are you’ll pay in way more in premiums than you’ll ever take out in claims. If you do actually run into something really serious with your pet, expensive surgery is probably only going to buy a few months or a year of life anyways. The math just doesn’t work out. Save your money instead, and when fido needs chemo (he probably won’t, just saying) you can make the decision on your own. Also euthanasia is quick and cheap, and people have been doing that when the pet bills get too high for ages. From what I’ve seen all the pet insurance plans have limits on benefits. SO theirs either a maximum lifetime limit and/or a limit on the amount they pay for specific procedures. The ones with limits on the payout for procedures seem to be worse since some limit the amounts to $1000 to $2000 for specific things which can cost far more. e.g. your dog breaks its leg and the insurance limit is $1000 but the vet charges $3500 so your left paying the $2500 after insurance payout.